Skills and Abilities: Military training in armed and unarmed combat. Also Genius level intellect in relation to computers making her highly proficient in their use to both program and hack any and all computer based systems. Born in the housing complex called “The Green” on March 11, 1995. She lived with her mother and two older male siblings. While still quite young and in school she showed genius level talents in regards to computer programing and hacking. As tragedies mounted in her youth she was traumatized and institutionalized before escaping and joining the PAX Peace Force (the US army). Here she would save the South American rainforest (During the second American Civil War) and thwart a global disaster. Over the course of her long life she thwarts an alien invasion, gets stranded in space and engages in many wars that shape the course of American and world history. She eventually marries native American Wasserstean and had three sons. 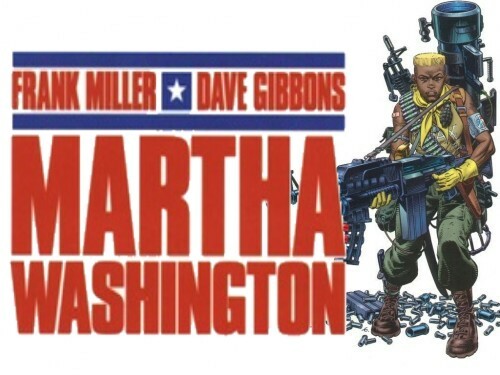 Martha eventually dies of old age after giving a rousing speech to gathered soldiers and friends inspiring them to continue fighting on for a better world.